It can be a tough gig being the parent on a family road trip adventure. You have to keep the peace, churn out the entertainment and drive – that’s a lot of hats to juggle in a loaded car. Here we give you some pretty handy products to arm yourself with before hitting the road – hopefully making your trip a little less stressy! Food in the car will be your saving grace on a road trip, keeping hungry bellies from ruining the relaxed holiday vibe. Remember you’ll likely be passing snacks from the front seat to the back so to save your seats from being showered in sultanas, kit out the kids with a Boon Nosh Snack Container, $8 from Babies R Us. Just kidding – we all know they’re going to make a bit of a mess regardless, and so you’ll need this. 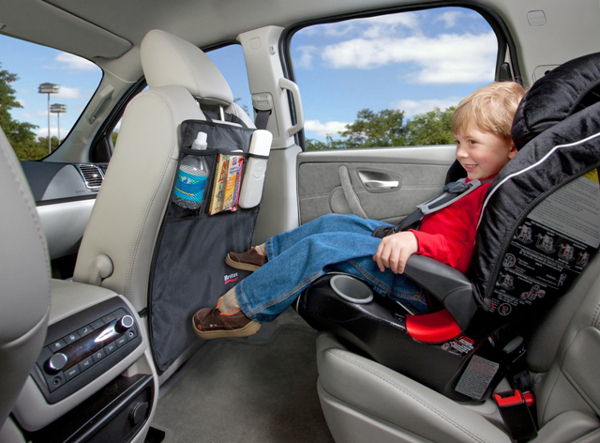 It’s the Ultimate Vehicle Seat Protector from Britax, and yes, we know it doesn’t seem like it will make much difference to the fun level for your kids – but it might make a huge difference to your own stress levels. 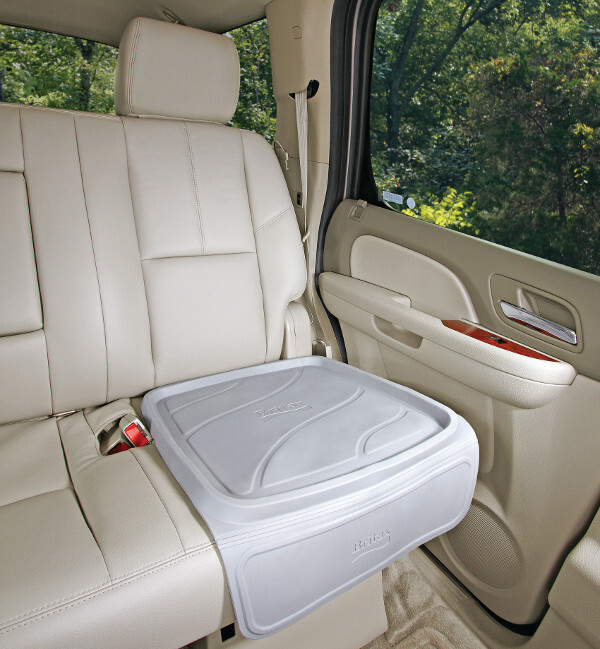 No matter what gets spilled in the back, it won’t leave a lasting impression! It’s $35 at Baby Bunting. If you have older kids, at some point they will likely ask to use your phone to take photos or make a video of back seat happenings. Take a kids’ camera – the added stress of kids mucking around with your smart phone behind you is best avoided. 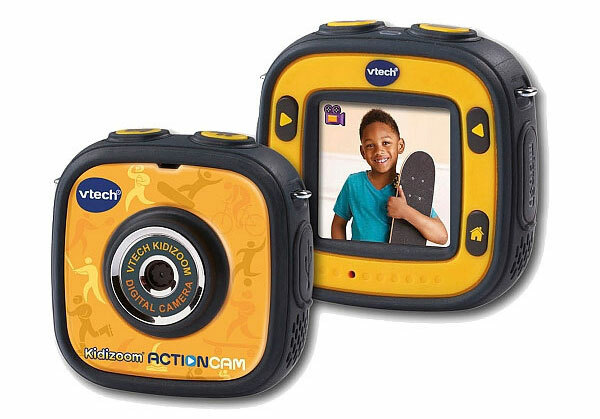 For slightly older children, we love the Vtech Kidizoom Action Cam, taking still images and video (even underwater) it’s much like a GoPro geared towards kids. You can find it currently on sale for $39 at BigW. Comfort in the car matters. 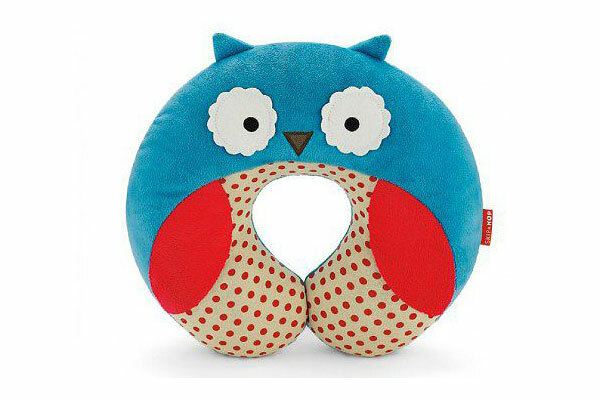 Head to Haggus and Stookles to find cute and comfy travel pillows and blankets such as the super cute and cosy Zoo Pals Travel Neck Rest, $25 (pictured above), and Zoo Pals Kids Travel Blanket, $35, from Skip Hop. Let everyone pack themselves a bag. For young kids, pack their essentials and let them fill in the remaining space with things they want to take. Yes, you might be taking a shell collection to Nanna’s farm but whatever, there will be no tears shed over it being left behind. We love the robust Trunki Ride-On Suitcases here, priced between $70 and $80 at David Jones. 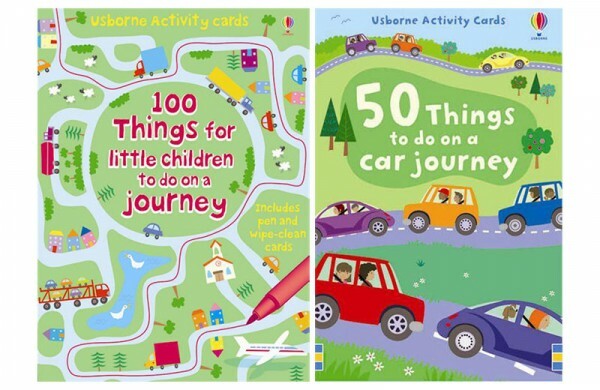 Keep the games moving in the car with the help of one of my favourites – the Usborne team. 100 Things For Little Children To Do On A Journey and 50 Things To Do On A Journey activity cards should keep everyone entertained for quite some time! They’re $13 a set at Dymocks. When they’re this small, they don’t need much in the way of activities – in fact, looking at their own face has always been a baby’s favourite form of fun. 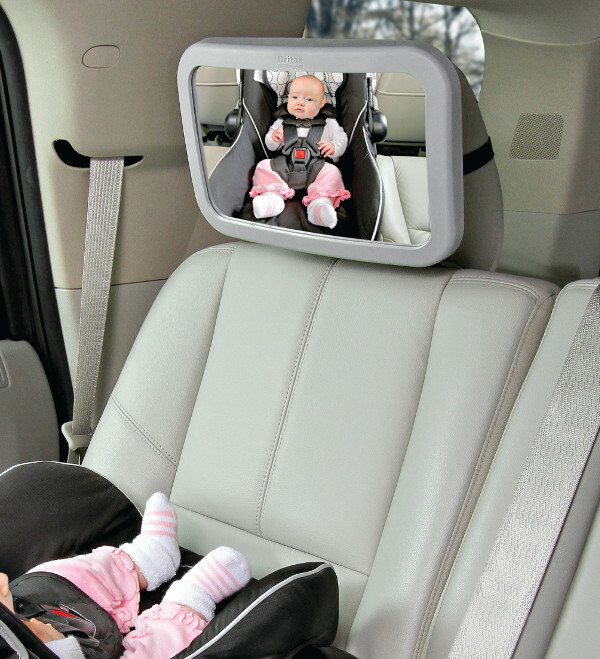 Pick up a mirror like this one from Britax and not only can your little one gaze at their own reflection for hours of entertainment, but a quick glance in rearview mirror will tell you if you’ve finally succeeded in lulling them off to sleep, or if the dummy really has gone missing. It’s just $23 at Baby Bunting. A travel journal for kids to draw in and jot things down at the end of the day or at rest stops is a great distraction and something they can take great pride in showing off to family and friends upon their return. 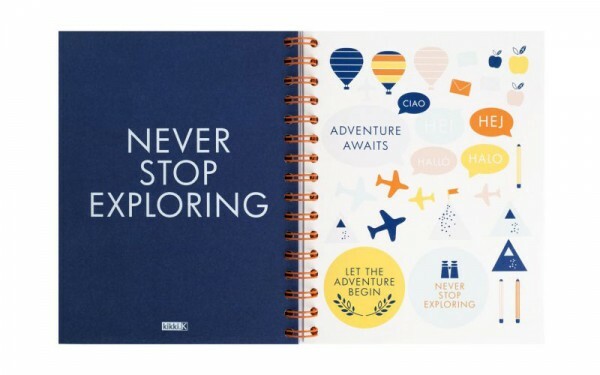 Kikki-K always has a great kids’ option available – currently it’s the Resfeber Kids’ Travel Journal, for $20. For long extended road trips, a travel journal of epic proportions will be required – check this one out from Etsy’s Boy Girl Party, priced $23 (pictured top of post) . I’m usually trying to curb the kids’ screen time but when it comes to car travel, I’m all for it. DVD players, tablets, iPads – whatever it is, load it up with as many movies and apps as it can handle. 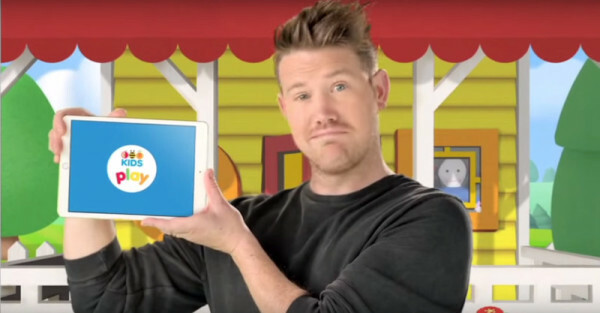 A great all-rounder to get you started is the ABC Kids Play app – bonus is, it’s free! Check out apps we’ve reviewed for more great ideas for download before you get going. Keep boredom at bay with car games and activities. 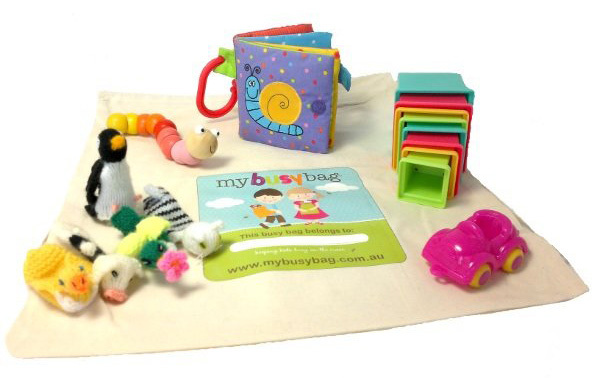 My Busy Bag (priced from $25) takes all the pressure out of finding the right gear by creating Ready To Go activity bags to suit different ages and stages for on-the-go entertainment. Alternatively, you can create your own from My Busy Bag’s stellar product selection. No one wants to be blinded by bright sunlight, and you’ll have far fewer complaints from the back seat if you invest in a few handy window shades. 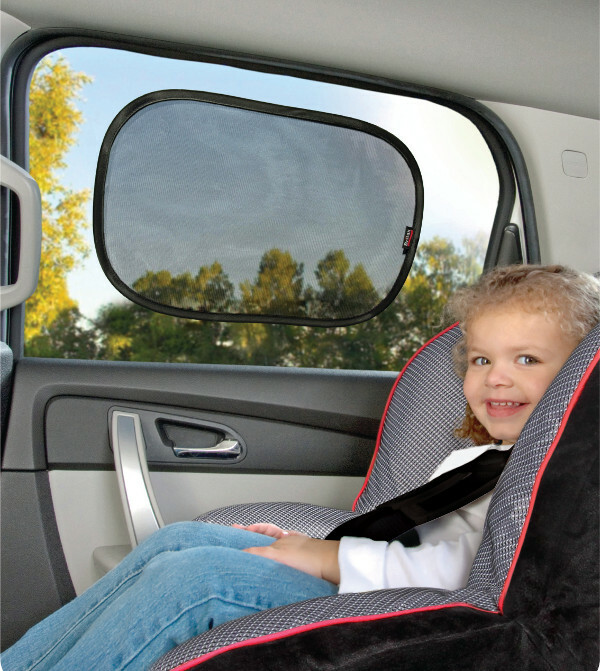 These are the Britax EZ-Cling Window Shades, which come in a pack of two, protect from UV rays and are simple to attach and remove. Pick them up for just $10 from Baby Bunting. 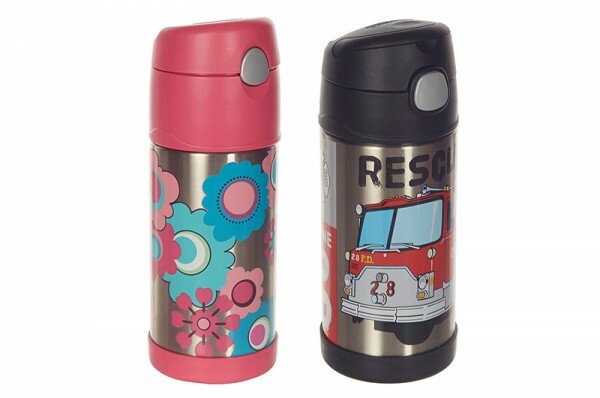 Speaking of the heat, keep drinks cold and fresh for up to 12 hours with the Thermos range of FUNtainer insulated drink bottles. They’re $22 from Howard’s Storage World. If your kids have a lot of bits and pieces to keep them entertained (and they do) then you really need a handy spot to keep it all so things don’t get lost or fall out the door on rest stops. The Britax Kick Mats do double duty here – they’ll keep everything in arm’s reach (of both adults and kids) and as a bonus, if your child is a seat kicker, they’ll protect your seat from muddy footprints at the same time. Pick them up for $20 for a pack of two, from Baby Bunting. 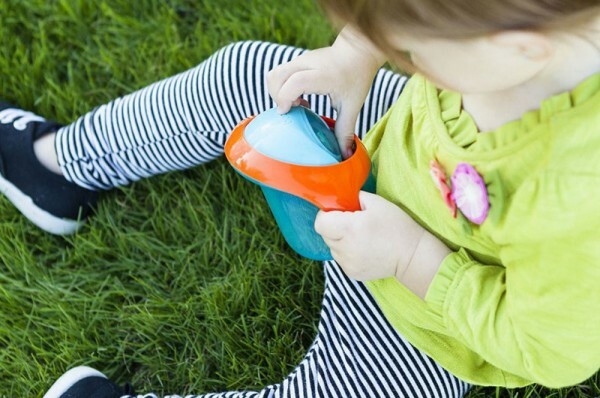 From Diono, a true ease of mind product is the Warm ‘n Go Travel Bottle Warmer, $25 from Baby Kingdom. 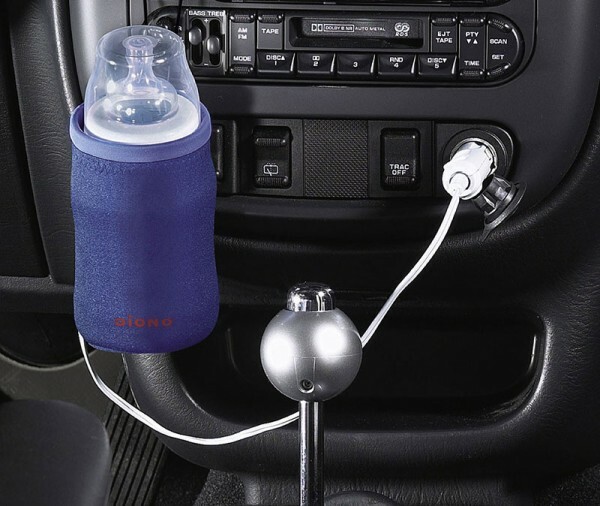 No more having to find facilities to warm your bub’s bottle – you can do it right from the car when you stop to stretch your legs. Finally, I dare to mention the one thing that can turn a fun road trip into anything but fun – car sickness. Anyone who has a child who suffers from it knows it’s not pleasant for anyone – and especially not the victim or the adult on clean up duty. 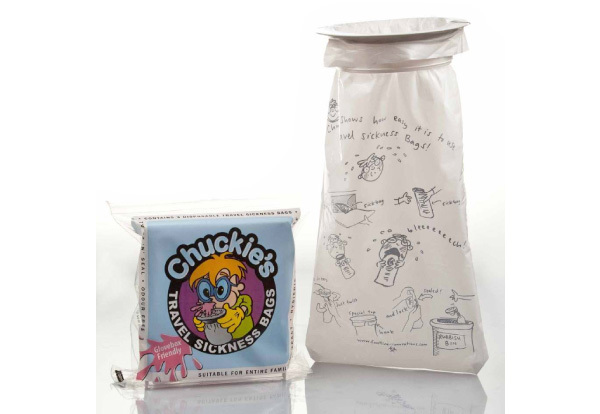 Be prepared with Chuckie’s Travel Sick Bags – a disposable vomit bag, they’re perfect for quick action and a lockable bag seal makes for a much less yucky clean up and disposal. Available in sets of three, you can order a six pack (that’s 18 bags) for $24 direct from Chuckies. With that, we hope you have a safe and well entertained trip!